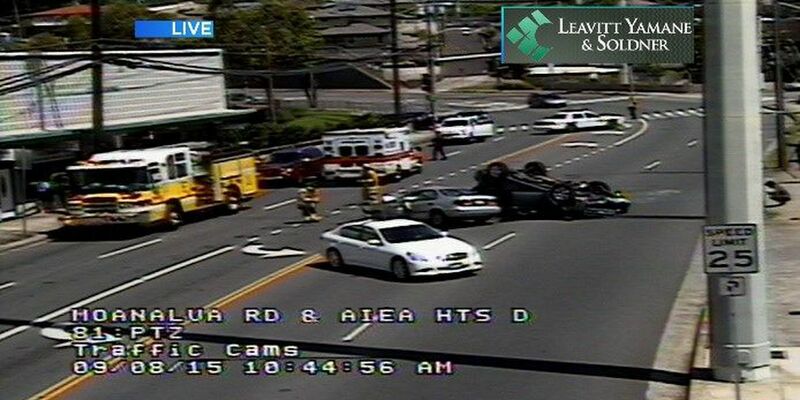 AIEA, OAHU (HawaiiNewsNow) - All lanes of Moanalua Road near the Aiea library have been reopened following a two-vehicle crash Tuesday morning, according to Honolulu police. Police initially blocked off the entire road in both directions, but an eastbound lane was reopened at around 11:05 a.m. All lanes were reopened at around 11:20. It's not clear if there were any injuries, but one of the vehicles overturned. We'll continue to update this story as more details become available.